Well, it’s not inconceivable that the Mondeo’s turbo diesel engine be used to power the Falcon. I think the reason for Ford not to go with a diesel option is because they think that the typical Falcon owner is the guy who wants everything ‘big and powerful’, and for some reason, lots of males whom I have chatted with who think they’d like to buy the new Falcon just don’t think a diesel engine is grunty (man-ly?) enough. These same people just don’t seem to place too much emphasis on fuel economy. Testesterone seems to be more essential. a turbo diesel can be just as manly as a n/a petrol. Even more so when you look at how much more weight you can haul when your peak torque figure isnt too far off idle (and so can be accessed at a lower road speed). I mean when was the last time you thought a landcruiser was weak? It’s not about Landcruisers being weak mate, and it’s also not about torque and haulage. It’s all about the macho image a grunty V8 or even a V6 gives the Falcon. That was my point. Lachy, all those points apply to the current model. It’s got a good engine, good handling, good ride, good space (but there’s certainly no evidence of ‘world class safety’ for the FG [yet] or old model). The old model has even got that ‘slightly compromised’ fuel economy. 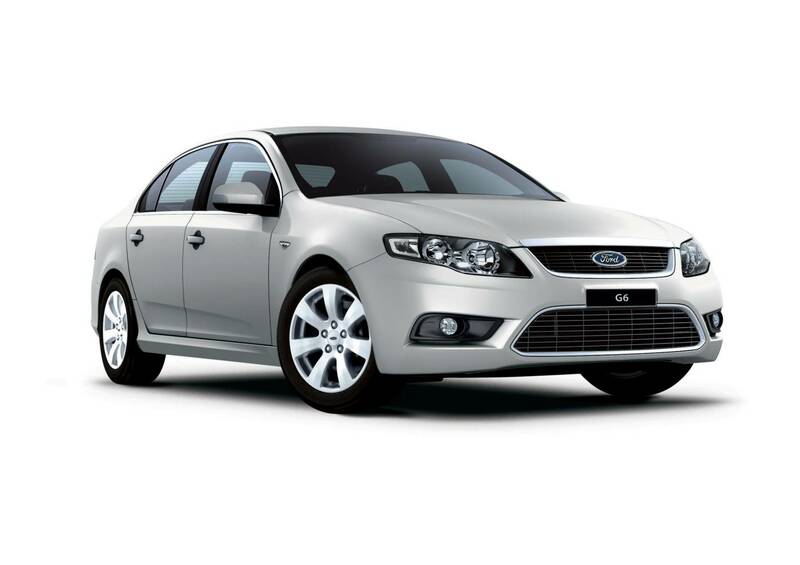 When you look at the consistent sales performance of the VE Commodore,it’s not unreasonable to expect a similar result for the fresher, more dynamic,elegant and frugal FG Falcon. It’s unfair to paint the Falcon as a poor corporate citizen when tests have consistently shown better real-world economy figures, especially highway where nothing else Australian made drinks less. I can’t wait to drive one! always have and hopefully always will be part of Australia , I think the drop in sales of Falcon and Commodore have more to do with huge range of large powerful cars now available in Australia that werent when ford and holden ruled the sales chart. Anytime your on the highway youll notice the majority of Aussie familys driving Japanese and European large cars and 4x4s, I reckon Ford and Holdens success lays in them having a larger selection of the good old fashioned large powerful car, maybe now though with the very popular japanese sport styling like the Hilux and Triton, which even ,true blue me likes. Whilst I can agree with Julian and others who suggest that the Aussie large cars are too big and thirsty for daily use around the city and suburbs, I think that their real purpose is the consumption of Australia’s endless stretches of open road. My dad drives a VE Commodore fleet car all over SA, sometimes more than 1500km a week, carrying a boot full of work-related equipment. Under these operating conditions, I have personally seen better than 8.6l/100km from the auto V6, despite a weighbridge figure of more than 1800kg and I can’t think of any other type of car which would be as suitable for this kind of work as the big Aussie 6 cylinder. For people who live or work in rural areas or who regularly drive long distances, or tow a trailer, I can’t think of a better car, especially for the same money. Also, I have spoken directly to an engineer at Holden who admitted that, as some others have already commented, they would not be able to make a profit on a small car without drastically increasing production volumes because the margin on small cars is so much smaller. We are being bombarded with comments regarding the alleged high price of petrol. owever, I wonder. In 1971, we paid approximately 12 cents per litre, in 1981 about 42 cpl and in 1993 68cpl. I would like to see some real research on the changing prices of fuel over the past three decades in today’s dollar terms. I don’t think paying $1.45 per litre is greatly above what fuel prices have been in comparison to wages. Certainly not 20 or 30 cents above. Are we being brain washed for some reason or is ter a basis for what we are bing told? I am currently doing my own research on this but it is very difficult to find year by year averages of fuel prices (say for Brisbane). Would a motoring writer do an article on this issue so that all drivers have a clear picture of the real situation with fuel prices? The Mazda 3 has just outsold the new Falcon…. Come on guys, don’t stop now with the discussion! James (and others who said similar things above), where are you now? lying in wait until another topic that they think they can ‘win’ with comes up. On an unrelated note, how did your RS liberty do for fuel? I have a GT Legacy wagon (1990 vintage) and it gets about 7km/l. It’s absolutely appalling, especially given that the car isn’t *that* heavy in todays standards (two fat blokes, a full tank, an empty wheelie bin, and the car weighed in at 1720kg). It’s a long time ago but I remember 10-12 litres/100km. I do remember that with new exhaust and intake it clearly improved over standard. Um you do realise that in the same article it says the HOLDEN COMMODORE was the best selling car (as it has been for the last 12 years). Given that the Commodore is thirstier and less safe than the Falcon yet is number one in the Australian new car market I wouldn’t exacty say the Falcon is irrelevant. The Falcon is simply let down by marketing. It neither has the reliability perception of Toyota nor the Australian perception of Holden and to top it off they did a piss poor effort in advertising with the average punter not even realising there is a new Falcon topped off with crappy finger commercials when they should be pushing the 5-star rating, superior fuel economy, aluminum virtual pivot suspension etc. But perhaps the average new car buyer is shallower than we think. The Mazda 3 is easily best car in it’s class but is itself greatly outsold by the Corolla. Australians want a badge thus why rubbish cars like the Mercedes A-class exist. Holden says “I’m Australian”, Toyota says “I want an A to B car”, Mazda says “I’m exciting” and Mercedes says “I want a sophisticated badge no matter how rubbish the car”. On the positive side the Falcon still outsells Aurion 2:1. The Falcon Ute outsells the Commodore Ute. 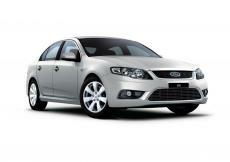 The ageing Territory is still a class leader and while most makes and the market in gerneral is down on 2007 Ford and the Falcon have inceased on 2007. I think people need to get out of their basement take off the tin foil helmet and live in the real world the best selling car is still a Australian RWD six and hybrids make only a handful of sales a month. The people here are the same type of people who rushed out and bought the dog four cylinder Commodores in the late 70’s. This website is about as interesting as washing up which the mrs is bugging me to do. I have a full week of test driving an R33, buying a Capri Turbo, test riding a Ducati Sport 1000, V8 conversion for my XE and manual conversion for mates VL Turbo finished off with druft comp. How I envy those here who bought a Prius instead of an XR6 Turbo and spend their weekends on internet forums predicting the end of the world. Maybe this will force Ford Oz to adapt to a FWD platform,as reported; but that mightn’t be such a bad thing. A globally amortised platform gives Ford Oz much much greater flexibility, and since Falcon has never descended below top 5 in sales (correct me if I’m wrong), this can only re-inforce a still strong business case. Also, the Mk1 Focus is still regarded as one of the best FWD chassis ever made- (although with Taurus hardpoints weight distribution/ inertia could be compromised). Julian is there any possiblity of an economy graph to show the L/100 of Australian vehicles since the 60s? I think thats one area that has seen little improvement and perhaps the reason for this panic (IIRC VT-Y V6’s used to return high 8’s) and it would be interesting to see. Finally, I don’t feel Ford has misread the market for the FG- it is a great vehicle and on merits alone deserves to succeed. Economy is reasonable, and for people such as myself who enjoy driving more than saving $10 or so every week it simply isn’t paramount. I don’t understand everyone’s obsession when the difference is incremental. 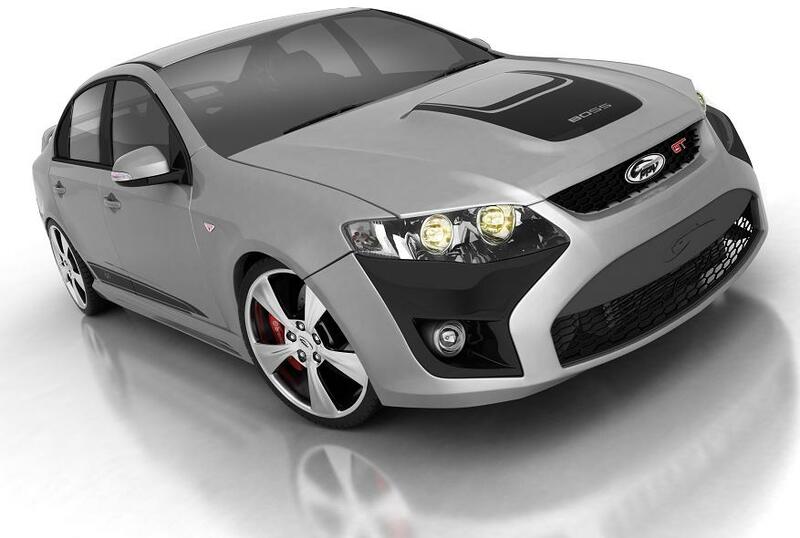 Here’s an idea for another blog topic- what do we want to see on the next generation of Aussie cars? I think the Falcon is the right car at the wrong time. Over here in NZ, you can buy an XR6T for only 3 grand more than a Mondeo XR5, a car that is smaller, MUCH slower, barely more fuel efficient, doesn’t handle as well and is only available in manual. Or there is the Camry, which is even less capable than the Mondeo, albeit with more interior space. Then there is the G6ET. I notice there is no mention of Ford using the turbo engine instead of the V8 for a better performance/economy in this model. Five star ANCAP crash safety rating for occupant safety. The styling HAS been made to make the Falcon appear “smaller” and more in line with current trends towards “downsizing cars”. For a reference just park it between the VE and the Mondeo. Then there is the fact that towing a boat doesn’t feel like you are pushing the performance of the car either, that would be because it DOESN’T. I can see why a lot of people disagree with the merits of the Falcon, personally I just hope to win the Lotto, at which point I would camp outside my Ford dealership. And to be honest if there was no Falcon, I’d camp outside Holden. NOT TOYOTA. its funny how people get on here and rant about fuel savings, honestly fuel is the one of the CHEAPEST parts of owning a car…think about it, how much to replace tires, servicing etc..my aging vy sv8 yes 190k runs like the day it was built, power and all, averages 11-12l per 100 city and highway, costs me less than 100 bucks to service myself(simple) and thats using a top quality (full synthetic) oil. a blast to drive at the track and home!!!! i went to sell my other car recently, i could not believe the prices there asking for poor quality, older model, Japanese 4cyl cars….. half these cars use more fuel than a late model v8.. yet the average numbskull buyer reads 4cyl and buys thinking fuel economy. the Toyota prius………all i can say is, a tdi vw golf uses less fuel, nicer to drive(read handles better, is a real car etc) i had the unfortunate privilege to drive one of these heaps recently..give me my full size sedan any day, ill pay the extra 20 bucks a week. you say the tdi’s are expensive to purchase???? obviously forgotten how much your prius cost originally. I used 25.2L for my 243km run (filled up this morning, two return trips on the highway). It cost me $42 ($1.67/l for BP Ultimate). That’s 9.6km/l. Over the course of a year that would work out to be a $2288 saving. Which at least in new zealand is about the cost of buying and registering a small car that can achieve those numbers on the highway (albeit an old one). It should also be noted that with a car focussed on economy would probably need less, and cheaper, servicing than my GT Legacy needs. That said, enough of my rant. I’m happy to pay the extra in fuel/servicing for my car. I have an AWD wagon with space for all and their stuff, good ride and handling, more performance than I need (what I want is different though), and it’s replacement value is about $1500, depending who you know. I can’t ask the world for that price, can I? I’m addicted to that buzz! My company car is a 2005 VW Caddy TDi. I have a daily 35km commute to and from work. Although 90% of this drive is in 100km/h zones, it is usually in moderate traffic. Until I read an article on saving fuel, (by who else but Julian) I was a right hand lane missile, driving as fast as I could without scoring a ticket. Usually this was around 115-120km/h. To achieve this I regularly had to pass those bloody slow people in the fast lane, and also race the other missiles to prove that I was the fastest. The trips were fun, but full of stress and aggression. While Julian’s article had nothing in it that I didn’t already know, one quote stuck with me, and changed my behaviour. Julian says how if he isn’t in a hurry/emergency he drives under the posted limit in the slow lane. That got to me… What’s the rush? Why burn all that fuel, and drive with such aggression for no reason other than my urge to race? I’d still make it to work/home in plenty of time..
As a right lane missile the good old Caddy used to get 700-800km/s from 60l of diesel. That is pretty good for such a large frontal area, and for such aggressive driving. These days I do 90km/h in the left hand land. I barely have to ever touch the brakes, and never bother to look out for ‘the law’. I have a comfortable drive to and from work, feeling calm and relaxed at each end. I can always ‘bank’ on getting 900kms before filling up! That gives me a buzz… And only a buzz as I don’t even pay for the Diesel, my company does! The FG Falcon looks nice but dosen’t really improve on previous models. Why fork out the big dollars on a new ford when the last couple of models had similar offerings and can be had for just a fraction of the price. Interesting comment Sandra. I thought improvements to fuel economy, handling, steering, safety (5 starts), rear seat access, interior look/feel/quietness, base model standard equipment (including 5 speed auto) were worthy of note. Maybe us Aussies don’t really care about this stuff, and care more about image? Maybe the real problem is it, with the exception of the G series, doesn’t look that much different? Err Dave the new model uses more fuel has an impractical interior with poor ergonomics. It has better grip and steering that is not used by 99.99% of owners and the steering ratio feel just isn’t right. The new ford is more of a look feel upgrade with a few electronic upgrades that are behind the sences that most owners will never know. I wouldn’t considered it to be a major improvement and it doesn’t compare with other manufactures offerings. I personally love obsession with fuel economy… cost wise its irrelevant when depreciation is taken into account, or all the other costs. The announcement by Ford last week about putting smaller, more economical engines into the Falcon made me think of your article from Feb last year. Great call by you, and beter late then never by Ford. I hope they take the opportunity to faclift and differentiate from the BF to a greater extent, and that this strategy works for them. Recent announcement hopefully makes it more relevant ( 2.0T, diesel). Maybe Ford will create a car same as the Toyota Yaris T1 or the Hyundai Getz. Small cars with great fuel effeciency. I’ve driven the Yaris and while it is more expensive than its predecessor, Tazz, it is a good replacement.